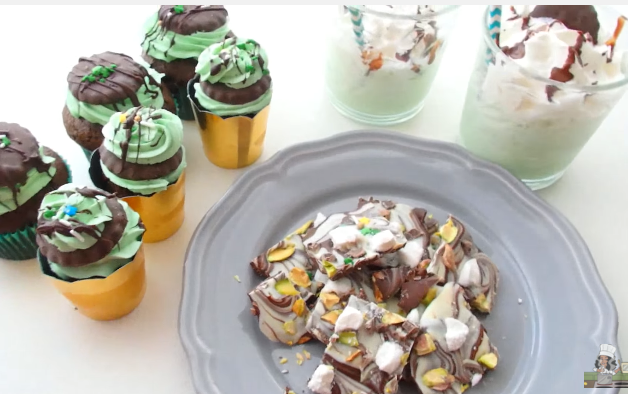 We just did a fun St. Patrick's Day video (scroll down to view) that was filled with tasty goodies. I'm talking Shamrock Shakes (which I LOVED), Leprechaun Bark, and Mint Chocolate Cupcakes with Andes chocolate fudge filling, mint green buttercream with a mint chocolate cookie on top (enough said). 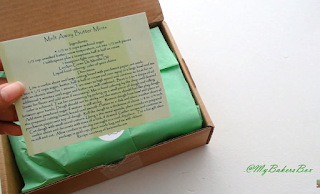 Besides the green goodies, I did a Unboxing provided by My Bakers Box. A couple of weeks ago I came across their site and immediately got excited. Subscription boxes are so popular today - but the only ones I've seen consisted of snacks and candies. This one is for the cake decorator in us all. 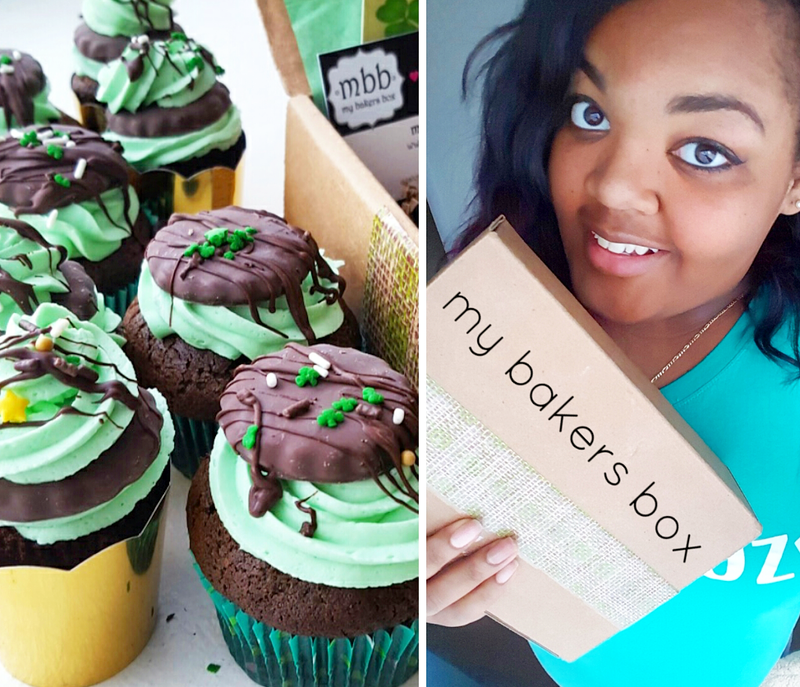 My Bakers Box is a monthly subscription box filled with unique baking/decorating supplies and also a recipe card. I received February's box which was St. Patrick's Day themed. Immediately enticed and inspired by the miniature gold cups - I knew I was making cupcake mini's. I was hoping for mint extract and sprinkles which were also provided. So yes, I was ecstatic as you could probably hear from my reaction! The video turned out beautifully and we've teamed up to do a giveaway for you guys! The winner of the giveaway will receive a one month subscription provided by My Bakers Box. 1. Subscribe to Marisha's Couture Cakes on YouTube and "like" the video. Click HERE to sub & like the St. Patty's Day video. 2. Leave a comment on the St. Patty's Day video answering this question: If you were a Couture Cake, what flavor would you be? 3. "Like" My Bakers Box on Facebook. Click HERE to like the fan page. 4. "Like" Marisha's Couture Cakes on Facebook. If you're interested in subscribing and purchasing on your own. Enter the Coupon Code "Couture Cakes" at checkout for $5 Off.